Casio Computer Co., Ltd. has developed a next-generation watch with Bluetooth® Low Energy Wireless Technology 1 for its G-SHOCK brand of shock-resistant watches.It is Designed in accordance with new Bluetooth® Core Specification Version 4.0 standards, Bluetooth® Low Energy is a new technology that enables wireless communications with very low power consumption. Casio participated in determining the standards for Bluetooth® Low Energy as a member of the Bluetooth® Special Interest Group (SIG), an association of companies that decides on Bluetooth® standards and authorizes certification. Casio’s new G-SHOCK watch is the first in a line of new watches that will use Bluetooth® Low Energy Wireless Technology, with a function that can adjust time automatically all over the world. Casio is positioning the new next-generation wristwatches as smart watches. The watch supports communication with Bluetooth® Low Energy smart phones that will hit the market in 2011, to enable automatic synchronization with smart phone time. Smart phones automatically acquire the local time when moving between countries and regions in different time zones, which means that the synchronized watch will adjust to the time in its present location automatically. In addition, integration of Bluetooth® Low Energy support opens the doors to completely new ways of using watches as new applications are developed for smart phones; for instance, communication between watches through smart phones. The expectation is that these new ―smart watches will be able to connect to networks of various kinds of devices that support the Bluetooth® Low Energy standard. Casio has designed the watch to offer a battery life of approximately two years*2 from a single button-cell battery. Together with Bluetooth® Low Energy Wireless Technology, this ensures an eminently practical watch without the bother of recharging, just like what is expected of a wristwatch. – Alarm and vibration functions of a smart phone can be activated using a watch button. Since the release of the original G-SHOCK watch in 1983, the brand has continued to evolve, with advanced functions, construction and design all based on outstanding shock-resistance. That’s why Casio considered it a natural choice to develop its first watch compatible with the latest Bluetooth® Low Energy Wireless Technology under its G-SHOCK brand. The new G-SHOCK watch will be the first of many watches with Bluetooth® Low Energy Wireless Technology offered under Casio’s various product brands. 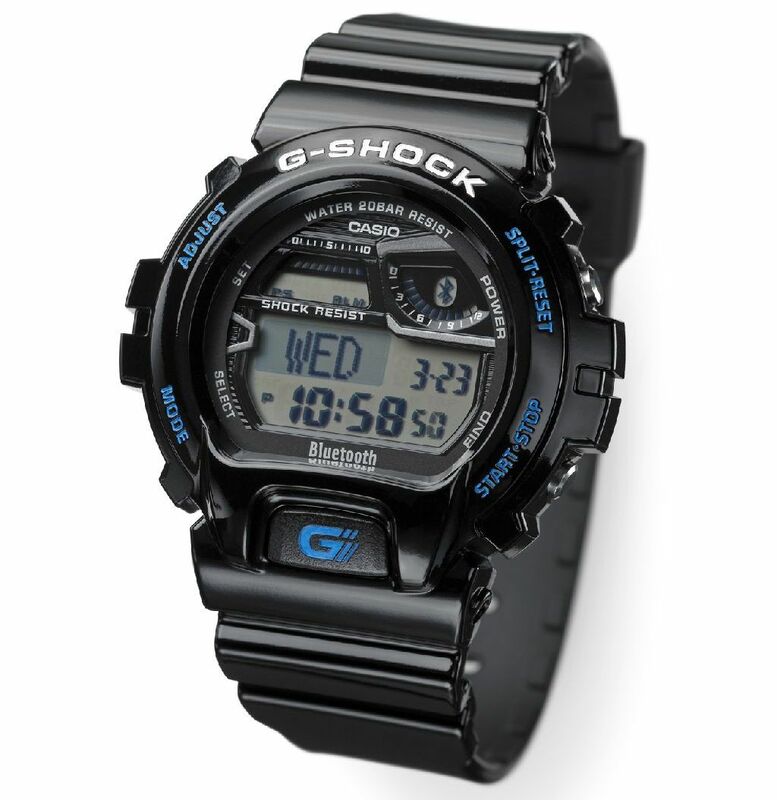 Casio will exhibit the new G-SHOCK watch with Bluetooth® Low Energy Wireless Technology at the Casio Booth at Baselworld 2011. Casio will feature the watch together with a prototype Bluetooth® Low Energy smart phone, in cooperation with NEC Casio Mobile Communications.